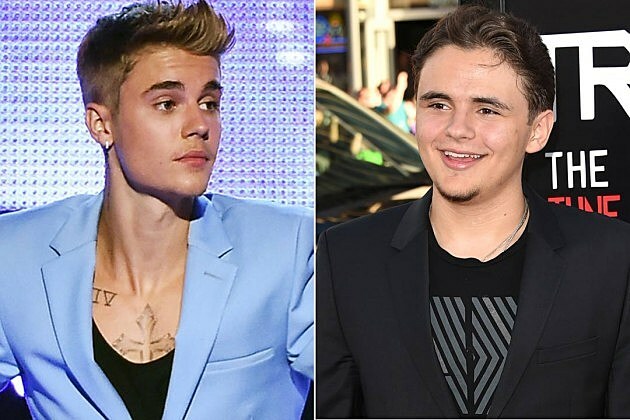 Are Justin Bieber and Michael Jackson‘s eldest son, Prince, working on new music together? According to Page Six, the pair — who are fast-growing friends — are set to be featured on a “major recording album” that is in the works. According to the New York Post, 17-year-old Prince has been spending a great deal of time with the Biebs — a fact which is not too surprising considering the two reportedly live in the same Calabasas, Calif. community, have known each other for years and Bieber was greatly influenced by the King of Pop. Page Six reports that Jackson, like Bieber, is looking at boxing champ Floyd Mayweather, Jr. as a mentor. The site also claims that Mayweather is the “driving force” of the musical collaboration between the two. “They really dig one another, and Floyd continues to check in with both of them,” a source told the site. While only time will tell if we’ll ever hear music from Bieber and Jackson, the ‘Home to Mama’ singer did promise that the world will see a Justin Bieber-Michael Jackson collaboration, so we have that to look forward to. Beliebers, what do you think of Justin Bieber possibly collaborating with Michael Jackson’s son?